Sharon Wallace, age 61, passed away the 30th day of January 2019 at her home in Palmetto, FL. after battling a long illness. Sharon Jean Bearden was born September 9th, 1957 to Jean and Larry Bearden in Shannon, AL. She married Cary Wallace and was a devoted mother to her son, Myles Dexter Wallace. She was known to many for her avid love of horses and accomplishments from barrel racing to western pleasure. She enjoyed growing herbs and raising her babychickens. 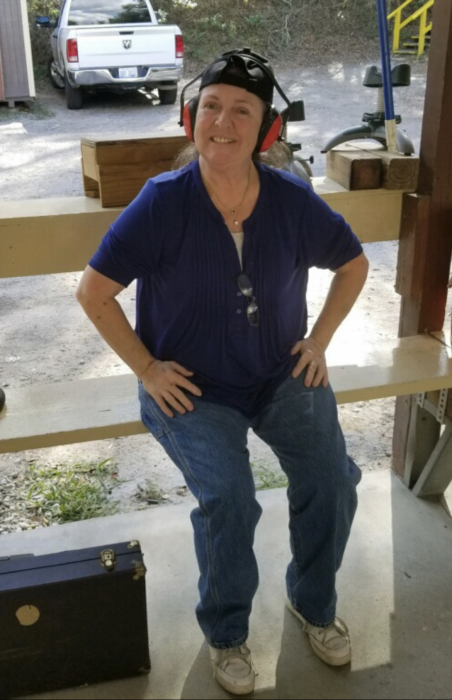 Sharon had a passion for target shooting and long road trips, especially in the big rig with her son. At the time of her death she was a sales associate for Zales Fine Jewelry. Sharon is preceded in death by her parents; Larry and Jean Bearden and her husband, Cary Wallace. She is survived by her son, Myles Wallace and a brother, Wade Bearden; her sister in law, Tammy Bearden, niece and nephew, Brittany and Matthew Bearden; her aunt Mae Smith and her uncle, Alton Abbott; and a host of family and friends. A Memorial Service will be on Sunday, April 14, 2019 at 2:00 PM in the chapel of Currie-Jefferson Funeral Home, 2701 John Hawkins Parkway in Hoover, AL, with Reverend Tommy Hannah officiating.